Russian lower house of parliament, the State Duma, will ratify a maritime border demarcation treaty with Norway within a month, Russian Foreign Minister, Sergei Lavrov said on Monday. Last year Russia and Norway signed a deal to delimitate their maritime border in the Barents Sea and Arctic Ocean after 40 years of negotiations. Both countries have been disputing the 175,000 square km area since 1970. The absence of defined maritime border often resulted in detentions of fishing vessels in the region. The agreement has also paved the way for the lifting of a 30-year-long moratorium on oil and gas extraction in the previously disputed zone. “We were discussing the vital issue for our states [maritime border demarcation pact]…Norway has ratified the pact. Russia has just started the ratification. We are planning to settle it within a month,” Lavrov told a meeting with his Norwegian counterpart, Jonas Gahr Store in Russia’s Baltic exclave of Kaliningrad. Russia, however, is still in a dispute with Canada over the Lomonosov Ridge in the Arctic Ocean, with both countries trying to persuade a UN commission that it is an extension of its own continental shelf. The sides have agreed that scientific evidence should resolve the dispute. Norway’s Labour-led coalition government is preparing for crisis talks after one of its parties, the Socialist Left (SV), pledged to hold out against oil drilling in the pristine Lofoten region. The oil industry views the untapped waters around the Lofoten and Vesteraalen islands as one of the best remaining prospects off Norway, the world’s fifth biggest oil exporter, whose output has fallen by a third in the past decade. But Norway’s green and socialist movements oppose oil and gas activities in the region, which is home to Europe’s largest cod stock and unique cold water reefs. The ruling coalition has survived for six years, partly by delaying decisions on the Lofotens. But pressure from the oil industry, trades unions and some local people is forcing Labour to move on the issue. The SV environment minister Erik Solheim played down the chances of a government collapse to the Aftenposten newspaper. “The government has for the past six years shown a phenomenal ability to survive. We have like Lazarus risen from the dead, and several times at that,” he was reported saying. Norway’s oil row comes as a report by the US National Academy of Sciences warns of a new struggle for oil and gas resources in the Arctic by 2030. Melting ice cover due to climate change will upset the Arctic power balance and intensify unresolved disputes among countries with Arctic borders. These include Norway, the US, Canada, Denmark, Russia, Iceland, Sweden and Finland. The resource-rich Arctic is becoming increasingly contentious as climate change endangers many species of the region’s flora and fauna but also makes the region more navigable. Up to 25% of the planet’s undiscovered oil and gas could be located there, according to the US Geological Survey. No country owns the North Pole or the region of the Arctic surrounding it. The surrounding Arctic states of the USA, Canada, Russia, Norway and Denmark (Greenland) have a 200 nautical mile economic zone around their coasts. 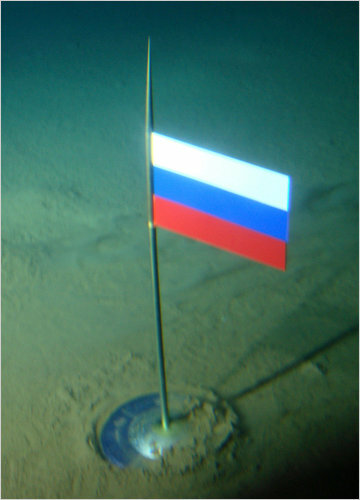 In August 2007, a Russian icebreaker reached the North Pole and a Russian mini-submarine planted a titanium Russian flag on the seabed there. The move was widely interpreted as a bellicose claim by Russia to the North Pole seabed and its resources. 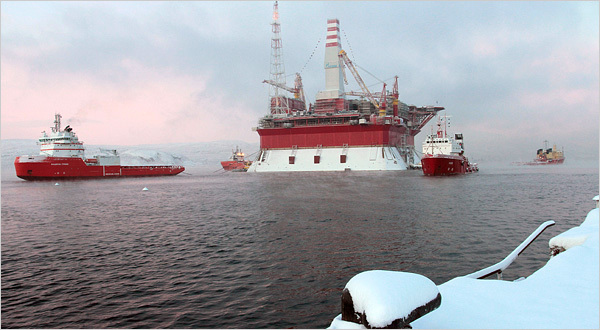 Norway covers between 10 and 18% of EU oil demand and about 15% of its natural gas. The country, a member of the European Economic Area since 1994, is the world’s third largest exporter of oil and gas after Saudi Arabia and Russia. By 2015-2020, natural gas deliveries from Norway to the EU are expected to grow from 85 billion cubic metres to 120 bcm, covering 7-9% of the EU’s entire gas consumption by 2020. Anglo-Russian energy venture TNK-BP could join Rosneft and Gazprom in developing the Russian arctic shelf if terms are good, the Russian prime minister said. Russian Prime Minister Vladimir Putin said TNK-BP might be able to persuade its oil and natural gas colleagues to tap into more domestic natural resources if the terms are favorable to all parties involved. TNK-BP, a joint venture between a group of Russian billionaires and BP, is at odds with the British supermajor and Rosneft over an asset swap that included exploration deals in the Russian arctic. 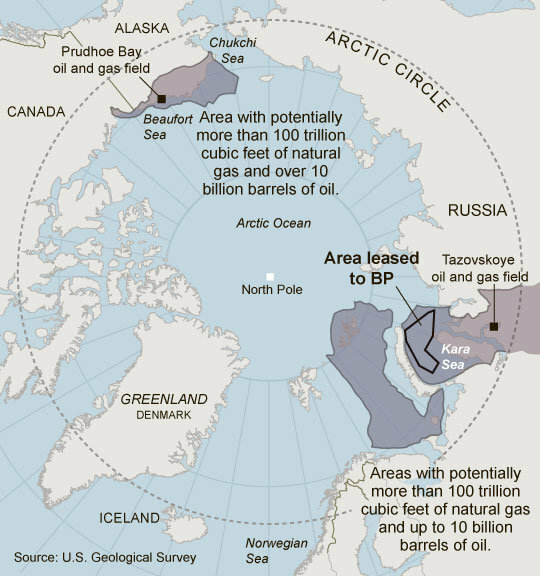 BP in January agreed to pay Rosneft more than $8 billion in shares for a 9.5 percent stake in the Russian energy company in addition to a development agreement for the Kara Sea on Russian’s northern continental shelf. Putin brushed off the historic rival between TNK-BP and its London counterpart by noting any rivalry is an internal matter for each company to address. “These are their problems, they must solve them between themselves,” he said. The Russian border guard service plans to establish a monitoring network in the Arctic from Murmansk to the Wrangel Island. The monitoring network will ensure effective control over the Arctic, says First Deputy Commander of the Federal Security Service’s (FSB) Border Guard Service Colonel General Vyacheslav Dorokhin, according to Nezavisimaya Gazeta. The Northern Sea Route is currently controlled from the air by FSB aircrafts, on the western part of the route by vessels from the border guard service in Murmansk and on the eastern part of the route by coast guard vessels from the North-Eastern Border Guard Agency, Dorokhin says. The general underlines that the Arctic is a priority area for the FSBs border guard service. The new railway line connecting the Yamal Peninsula with the rest of the Russian railway grid is declared open to regular traffic. Regular operation of the 572 km long railroad to its terminal point – the Karskaya station – was launched in February 15. The line connects major regional installations like the Bovanenkovo gas field with national key infrastructure. The Obskaya-Bovanenkovo railway line will enable Gazprom to easily ship huge quantities of goods and construction materials to its field development sites in Yamal. -The opening of this railway will facilitate all-year-round, quick, cost efficient and not-weather-dependent transport of goods and personnel to the fields in Yamal under the harsh Arctic conditions, a press release from Gazprom reads. Unline other Russian railway lines, the Obskaya-Bovanenkovo line is owned by Gazprom. As previously reported, the Russian Railways have been invited to take over the line, but has shown little interest. Read also: Russian Railways does not want Gazprom’s Yamal railway In addition to railway and field development in Yamal, Gazprom is also investing in the laying of the Bovanenkovo-Ukhta gas pipeline.